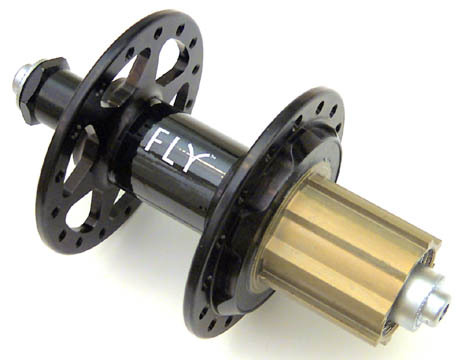 Nimble's 220 gram rear hub is ultra light, tough and builds a superior strength wire wheel. It has a forged aircraft alloy shell body and cassette body with either 100% Shimano (see above) or 100% Campagnolo (see below) compatible cassette splines. The 4 bearing transport system uses precision sealed cartridge style bearings for great rolling resistance, low maintenance and durability. The clutch is a patented synchronized 6 paw mechanism that offers unbreakable strength. The dropout faces are steel for secure hold under high load. 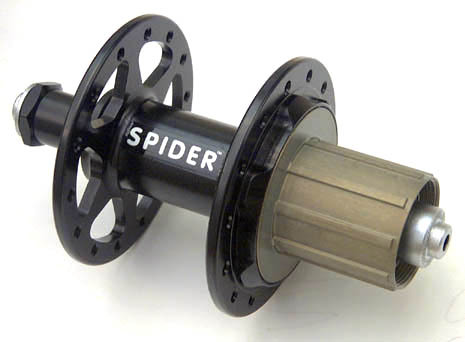 The non-drive flange is more central to the wheel, lowering spoke aerodynamic drag, and increasing spoke tension and durability. The large diameter flanges offer less spoke wind up and further improve spoke durability with high torque power riders.